5 ton overhead crane is a kind of light duty overhead crane and ideal for lifting goods up to 5 ton. It is suited to places such as warehouse and workshop of mechanical processing, assembly and maintenance with low requirement for lifting capacity. 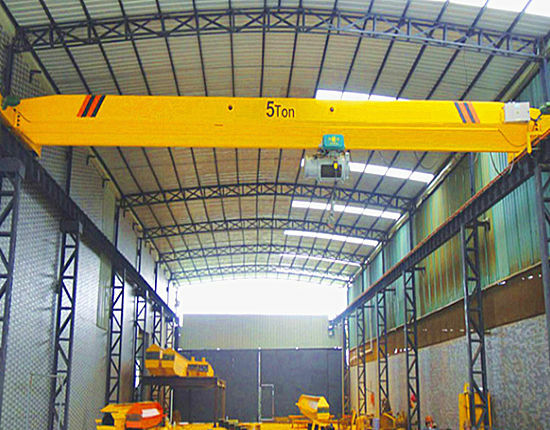 According to customer’s requirement for 5t overhead crane including the configuration (single girder or double girder), lifting height of the crane, application, and the option of electric hoists, we have different types of 5 ton cranes for your choice. For 5 ton single girder overhead crane, we can provide LD type for common use, LDY type used for molten metal, LB type for explosive gas and mixture, LDZ type for loose or bulk materials, LX type, a kind of underslung crane, and HD type with European type electric hoist. 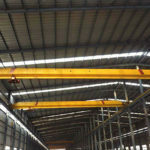 For double girder overhead crane, we have QD type for a wide range of application, QZ type used for bulk materials with high working class, QC type, a magnetic overhead crane for steelmaking workshop, YZ type for liquid ladle in steelmaking and continuous casting process, QB type for flammable and explosive materials, and NLH type with European electric hoist. When ordering an overhead crane 5 ton, you should inform us of specific requirement for your crane, and our sales team and technical team will select a solution that best suits you. 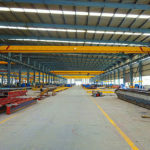 The components of overhead crane are designed as serialized and standardized modules with removable connection so as to facilitate transportation and installation. Besides, the standardized modular production can guarantee the product quality and shorten the delivery cycle. The equipment has small size and compact structure to increase the working area. The lightweight structure requires a small investment to the plant construction so it can save the cost. Moreover, the overall height of the crane is lowered. Introducing advanced processing equipment to our workshop, we can ensure the product quality. The steel plate is processed through short blasting pretreatment, so its surface quality can reach Sa2.5. The web of the plate is processed by CNC cutting to ensure the smoothness and accuracy of the arched curve. The frame surface is also smooth and flat. The 5 ton overhead crane adopts high quality motor, components and advanced processing technology to improve the working efficiency of the crane and reduce the failure rate. How Much Is 5 Ton Overhead Crane? When looking to buy a 5 ton overhead crane, what will the customers consider the most? They may take many factors into consideration including the 5 ton overhead crane price, the quality of the crane and the service of the company before making the purchase decision. 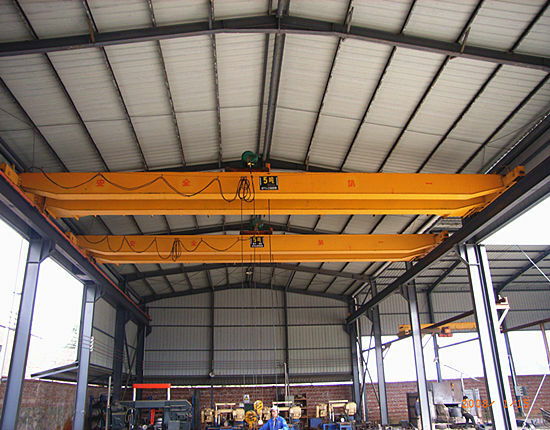 As mentioned above, 5t overhead crane has numerous types, and their prices are quite different. 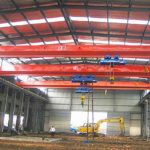 Generally speaking, for the same application, LD type single girder overhead crane is much cheaper than QD type double girder overhead crane, and NLH European type overhead crane is much more expensive than QD type overhead crane as it adopts European type electric hoist, whereas YZ type or QB type for special use is more expensive than QD type for common use. Therefore, the specific price is highly dependent upon your requirement for the configuration of the crane, the application, the lifting height, and your choice for electric hoists, etc. Send us your detailed requirement, and you will get a solution at a competitive price. 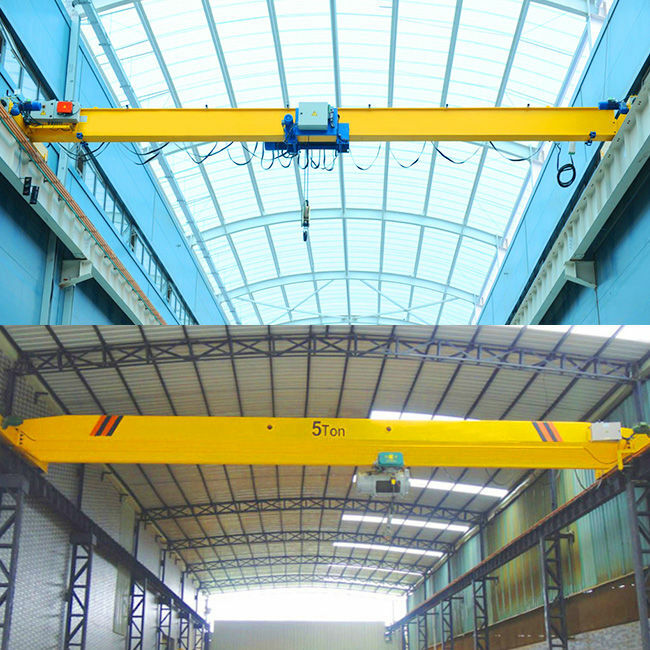 The overhead crane is mainly composed of electric hoist, crane bridge including main beam and end beam, crane running mechanism and an electric control system. Based on customer’s requirement, the overhead crane can be equipped with electric wire rope hoist, chain hoist, or European type electric hoist. The hoist trolley is the running mechanism of the electric hoist, which mainly consists of wheels, gearbox and motor. The hook is the main lifting device, and overload limiter adopts pressure type with functions of power-off protection and alarm. The crane bridge is mainly composed of main beam and end beam. The main beam is the main load-bearing component and also the running track of electric hoist. The end beam is the supporting base of main beam and the loads, and it is also the link between the main beam and crane running mechanism. The crane running mechanism mainly consists of motor, reducer and wheels. It adopts double-motor driving device with the advantages of stable operation, light weight, low noise, high versatility, and long service life. The electric control system has several protection systems, including short circuit protection, limit switch, zero potential protection and interlock protection, and grounding protection. 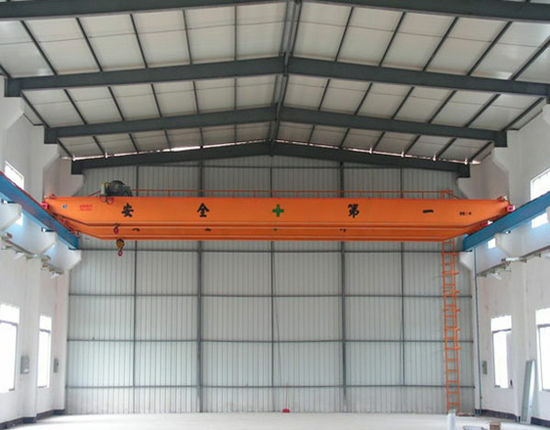 The operation of overhead crane can be done through operator cabin, control pendant or remote control. 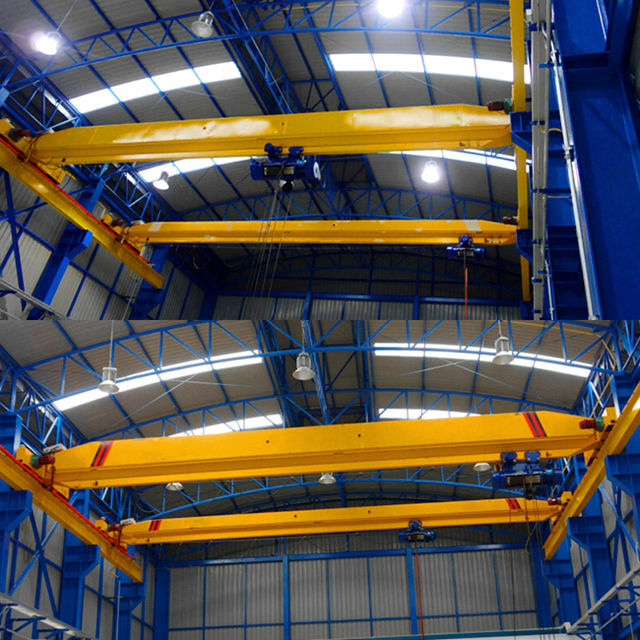 Our overhead crane has obtained CE certificate, and all the equipment and components adopt the latest technology. The steels and components we use are all in compliance with relevant national standards, and are strictly inspected by our company in accordance with design standard. During the warranty, if the user finds out the quality defects or the configuration is not in conformity with the contract or the relevant standards, the user can show proof to require a reasonable disposal and compensation. We have formed a perfect pre-sale, sales tracking and after-sale service system. Many users may concern the after-sale service the most. For after-sale service, the equipment warranty period is 12 months. Within the warranty, when there are problems such as equipment failure, we will reply users within 24 hours and provide a corresponding solution once receiving the message from users, and guide the maintenance personnel to handle the problem. After the warranty expires, we still provide after-sale service, professional and preferential technical support and spare parts for our users, and the cost is based on the agreement document we signed. We are a professional 5 ton overhead crane manufacturer in China with excellent sales team and technical team to provide perfect solution and service to customers. Looking for 5 ton overhead crane suppliers? Ellsen is your best choice!